Check out Tobi's West Indies Jacket All your faux fur dreams have come true with Lost + Wander's West Indies Cream Coat. This teddy fur coat features a longline construction, large collar, button details in the front, side pockets, and relaxed oversized sleeves. This faux oversized coat will look fab with black skinny jeans and boots! 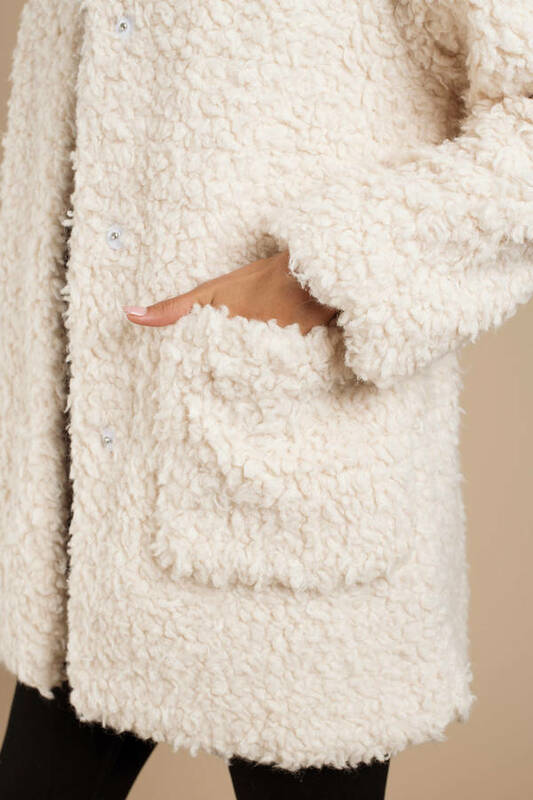 All your faux fur dreams have come true with Lost + Wander's West Indies Cream Coat. This teddy fur coat features a longline construction, large collar, button details in the front, side pockets, and relaxed oversized sleeves. This faux oversized coat will look fab with black skinny jeans and boots!